If you have been waiting for the perfect time to wear the pantone color of the year—emerald green—then I have the perfect occasion for you! The Waste Management Phoenix Open kicked off yesterday for all of you golf-loving ladies (I mean who doesn’t like a little Jason Day?) and their second annual “Green Out” is happening this Saturday, February 4th. The tournament host Thunderbirds are encouraging all fans attending the tournament on Saturday to wear something green to show their support for the green/eco-sensitive efforts of the tournament. “The Green Out has become an annual event celebrating Waste Management’s eco-sensitive initiatives both at the tournament and in everyday life,” said Tournament Chairman Alex Clark. For every person who wears GREEN on Saturday, February 4th, the tournament host Thunderbirds will donate some green to Keep Phoenix Beautiful. In 2011, the Green Out raised $35,000 for Arizona Clean & Beautiful. According to the Waste Management Phoenix Open’s ‘Green Squad’ more than 1/3 of Saturday’s 131,627 fans donned green gear. Here are some super stylish ways for you and your beau to enjoy some golf while supporting this wonderful environmental effort. It might be tempting to put on your highest heels or wedges to impress the crowds, but take it from me it is not a good idea! There are hills galore, plenty of people to stumble over, and lots of moist ground to sink into. 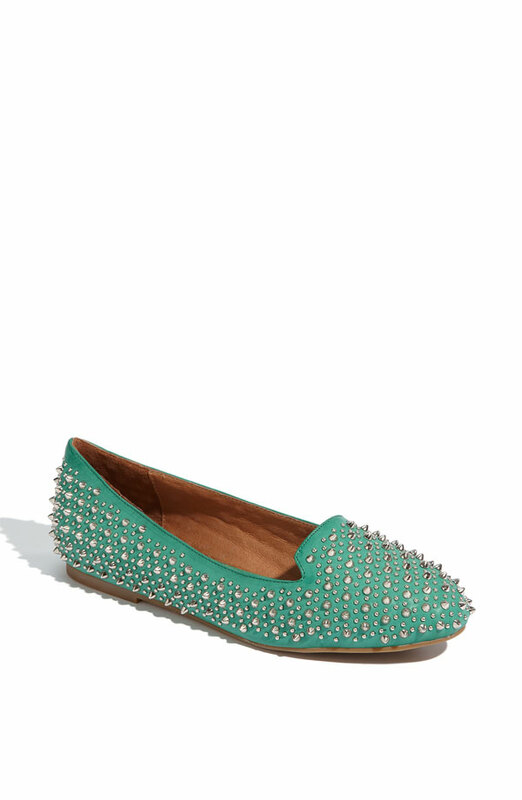 Instead why not wear a trendy pair of flats like these Jeffrey Campbell stunners. Your feet will thank you after a few hours standing at the greens. We go on and on about a great colored pant for women, but why not let your man in on the fun with these J. Crew slim fit chino pants. To avoid looking like you are walking about with a Leprechaun make sure that you mix up the greens, have him try a hunter green button up or polo. 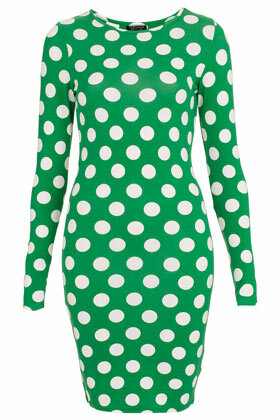 If you are ready to show the world that you can rock the green trend like no one else, then this bodycon Polka Dot dress from Topshop is the perfect choice! The weather will be sunny and warm but a pair of tights will ensure that you are uber comfortable. 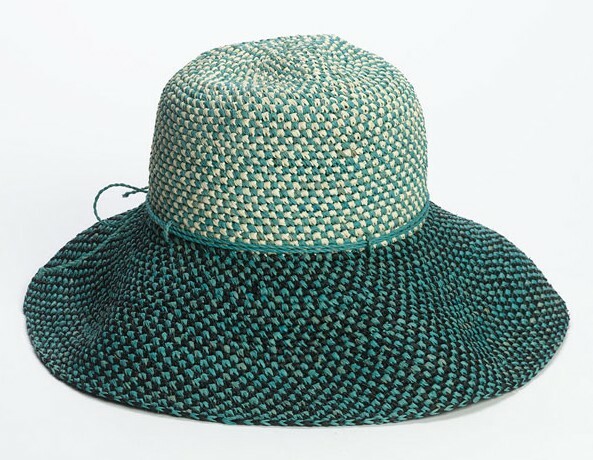 Protect yourself from the sun you are sure to encounter as you meander the course for hours. 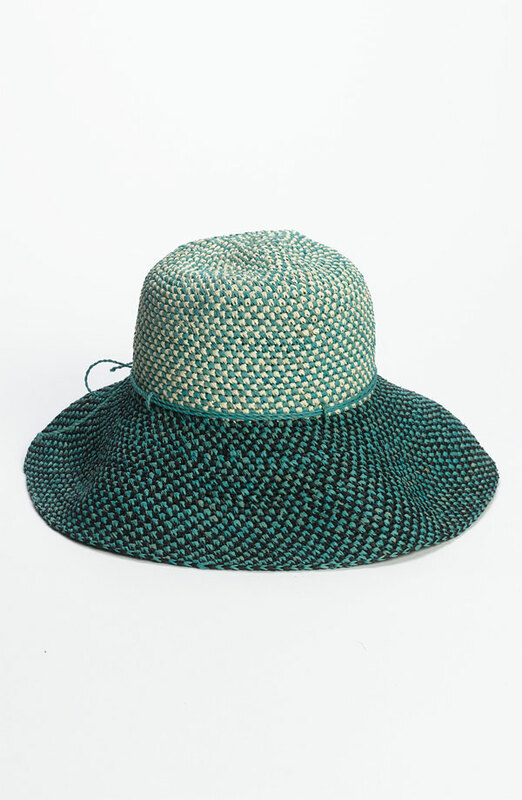 This Helen Kaminski raffia hat is adorable and will look chic with a fitted emerald polo, and crisp green golf shorts.